The decline of sacred groves began in the Indian plains in tandem with agricultural expansion. Soon, they were replaced by temples. But compared to most parts of the world, where dogmatic religions wiped out nature cults, sacred groves persisted in large numbers in India, especially in the highlands, as repositories of primeval biodiversity, moderators of local climate, protectors of soils and watersheds, giving rise to perennial streams and springs and recharging groundwater. Some 25 centuries ago, when Gautam Buddha lived, the Gangetic plains were dotted with sacred forests dedicated to sylvan deities like yakshas, yakshis and mother goddesses. Buddha’s sermons were mostly from vanas (sacred groves) or aaramas (parks) like the Deer Park of Sarnath in Uttar Pradesh. He meditated in Jetavana of Sravasti, an ancient city on the Gangetic plains; established a monastery in the Veluvana (bamboo grove) there; and spent his last days in the sal grove at Kusinara of Uttar Pradesh. The sacred groves remained in silence over the next thousands of years, barring sporadic references in anthropological and cultural chronicles. It’s only since the 1960s that researchers have started taking keen interest in them, with initial studies emerging from the Western Ghats, a biodiversity hotspot. Although literature on sacred groves has since been flourishing, the focus is more on smaller, isolated groves in humanised landscapes. A prime reason for this is large community-managed sacred groves of the past lost their identity after the British merged those with reserved forests. The real value of the country’s sacred groves in terms of ecological and genetic resources thus remain highly eclipsed. For instance, Kodagu district of southern Karnataka in Western Ghats has the distinction of accommodating the sources of three important rivers—the Cauvery, Kumaradhara and the Barapole—three wildlife sanctuaries and the Nagarhole National Park. All wildlife sanctuaries up to the peaks of shola-grassland complexes are replete with sacred groves, or devarakadus, that are places of active pilgrimage. For Kodavas, the self-assertive indigenous community of Kodagu, devarakadus devoted to deities like Igguthappa, Aiyappa and mother goddess Bhagavathi are insignia of their cultural identities. During the colonial rule, almost every village had one or more sacred groves. The British could not merge such forests entirely with reserved forests. Though the groves entered into a phase of decadence due to administrative lapses, mounting pressures for commercial crops like coffee, cardamom and tea, and influx of human migrations, Kodagu continues to retain species richness and endemism. The land and waterbodies constitute rare genetic reservoirs for many threatened fauna and flora, including critically endangered trees like white dammar (Vateria indica), Dipterocarpus bourdillonii and Hopea jacobi, and critically endangered fish like Barbodes wynaadensis (Wayanad mahaseer) and Ponmudi bush frog (Raorchestes ponmudi). In addition, there are many endangered, vulnerable, near-threatened and other endemic biodiversity. At Kodagu, humans have struck harmony with nature. Its culture and cosmocentrism, epitomised in the veneration of sacred groves and waterbodies, would have been true for the rest of the Western Ghats and other mountainous parts of the country, but for the rude interventions, both cultural and state-sponsored, upsetting the age-old community-centred conservation practices. In Karnataka’s Uttar Kannada-Shimoga districts, kans, as sacred groves are called in the region, represent distinct patches of evergreen forests associated with streams and springs, wild pepper and cinnamon. The British while merging the kans with the reserved forests did not treat the groves differently. In Shimoga, the kans were under the revenue department, which granted some privileges like wild pepper to local communities; the remaining forest however remained inaccessible which prompted people to hack kans for biomass needs, initiating impoverishment of watershed. 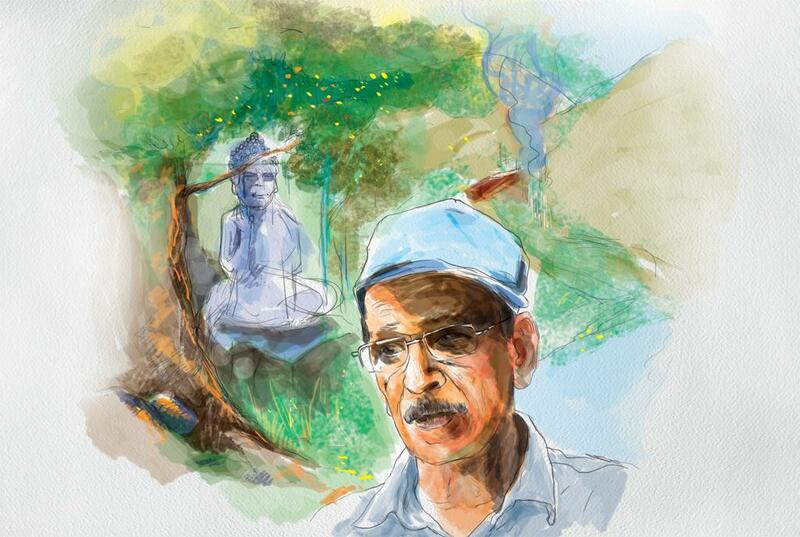 Our studies in the region along with Professor Madhav Gadgil re-emphasised the sacredness of kans and explained that their unique vegetation and faunal richness, still shelter many rare elements of biodiversity. Some 11 species of pepper can be found in the sacred groves of southern Western Ghats. Similarly, cardamom grew in evergreen forests in the southern Anamalais (Cardamom Hills), in forests spared from shifting cultivation for fear of deities by tribes like Muthuvans, Muduvans, Kanis and Kadars. The same is true with Garcinias, cinnamon, wild nutmeg, pickle mangoes and toddy, starch and palm jaggery from Caryota urens. It’s time that the sacred groves were identified, mapped and conserved as Biodiversity Heritage Sites under the provisions of the Biological Diversity Act, 2002. The emphasis should be on rejuvenation of such groves and linking those to water courses and other vegetation corridors in a network for more efficient conservation of biodiversity and for strengthening other ecological services.